C4S11CD14 Picked by a good mate Jim Wright, lover of live music and real ale, often a dangerous combination! This artist was introduced to me by @bongbrummie and I believe has some connection to the great band I am Kloot. I think Agnes supported I Am Kloot in the UK and they returned the favour in her native Denmark. It seems that we have a real glut of great Scandinavian artists at the moment and I’m not going to venture any theory for this other than to say make the most of them whilst they are around as they are making some great music. On recommend from Matt aka @bongbrummie I bought this album and purely by accident I ended up buying the deluxe edition which gave me an extra disc of live tracks and alternative takes and it’s worth buying the deluxe version if you decide to purchase this album. All songs are acoustic in origin with piano and guitar the accompaniment on most, and some strings on a few tracks and I think anything more would smother the tracks and I suspect you would lose the delicate nature of the songs. Obel has a beautiful voice which she used to great effect. The whole album is very chilled and there is a couple of instrumental tracks my favourite being the album opening Falling, Catching a sparse piano track that leaves you waiting in anticipation for Obel’s vocals but they don’t arrive until the next track the lovely Riverside. 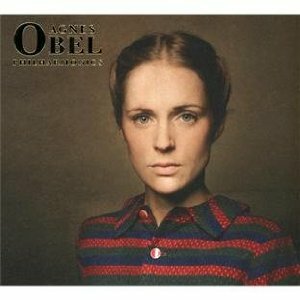 I suspect that Obel will always be a bit of an underground artist in the UK and that’s a real shame, in a world where the likes of Katie Melua receive such high adoration and records sales it seems unjust that an artist as good as Agnes Obel can go virtually unnoticed.